Continue reading "Adopt a Composer"
Continue reading "Exciting collaboration with UK Composer Chris Long"
Ex Urbe is a West Midlands based chamber choir of 24 members, with 20 years of commitment to high quality performance, delighting and inspiring our audiences with diverse music. We aim to include a work by a living composer in each of our concerts. 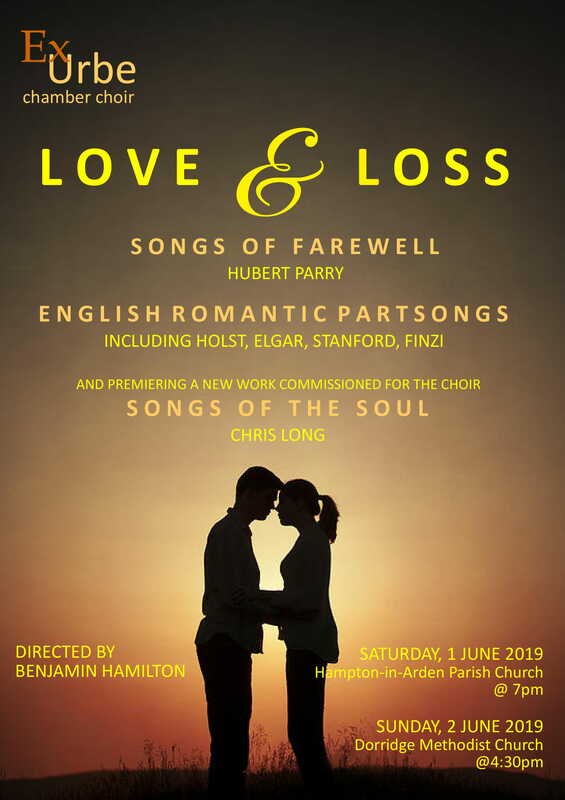 Our repertoire includes everything from Vivaldi’s Gloria, to lesser known a capella works such as Debussy’s Trois Chanson de Charles D’Orleans and Howells’ Requiem. Into the mix, musical director Ben Hamilton brings his own infectious energy, underpinned by a wealth of knowledge and expertise. We are building a loyal and appreciative audience.